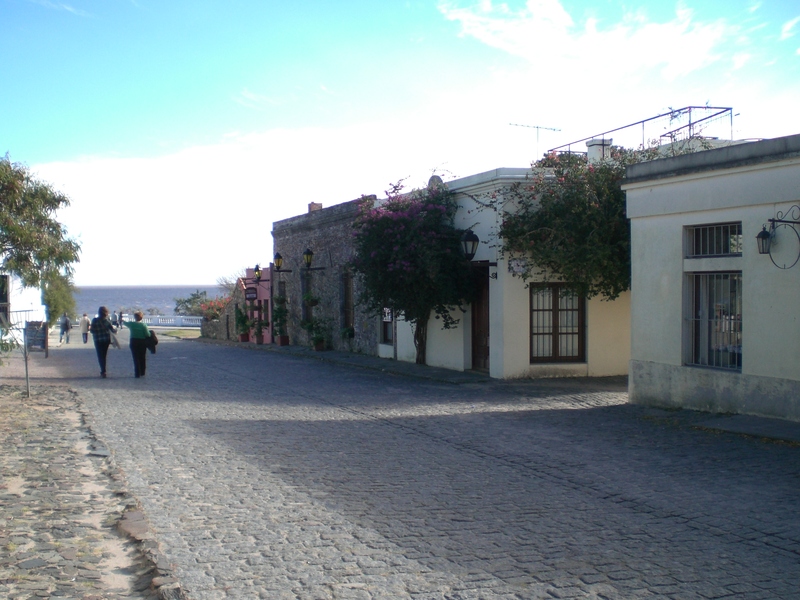 COLONIA DEL SACRAMENTO, URUGUAY-When visiting a big city, it is easy to be overwhelmed by crowds, noise, and pollution. This can be the case in Buenos Aires, Argentina. However, there is a peaceful retreat that is only a boat ride away. Colonia del Sacramento, Uruguay is a coastal city along the Rio de la Plata that offers a relaxing getaway from the stress of city life. According to gosouthamerica.about.com it was founded as a Portuguese settlement in 1680 and was the focus of struggle between the Portuguese and Spanish who founded Montevideo. For years Colonia del Sacramento operated as a contraband port, evading the strictures imposed on trade by the Spanish crown. 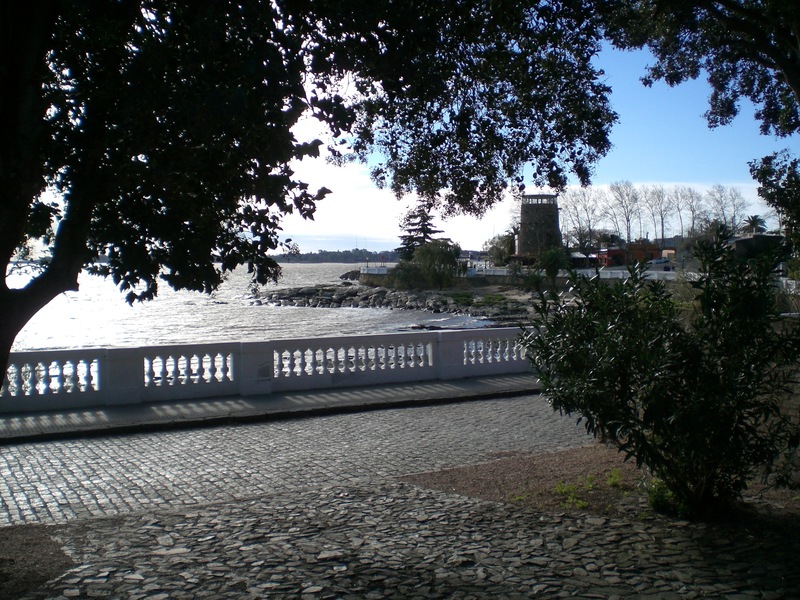 Today Colonia del Sacramento is a port and trade center, but is most known for being a resort city. The easiest way to get to Colonia del Sacramento from Buenos Aires is by Buquebus (http://www.buquebus.com), a ferry service. There are two speeds of ferry to choose from. A trip on the fast boat lasts about one hour while a trip on the slower boat lasts about three hours. The faster boat is more expensive. Depending on how much time you would like to spend in Colonia, the faster boat may be worth the extra money. Tickets start at around USD $48. Weekend ferries may be crowded and more expensive. Once in Colonia del Sacramento there are many options for transportation. Scooters, bikes, golf carts and cars can all be rented hourly or daily. Rental offices can be found just outside the ferry terminal. Since prices vary, you should shop around to find the best deal on the vehicle you would like. Taxis are also available but are not as common as in larger cities. For the visitor just looking to spend a day exploring Colonia, walking might be the best option. The main attractions are fairly close together and all within walking distance. The number one rated attraction on Trip Advisor is the Colonia del Sacramento lighthouse. Built in 1857 from the ruins of Convento de San Francisco, this lighthouse offers the chance to climb to the top and look out over all of Colonia. The lighthouse is located in Barrio Historico. This part of town offers a glimpse into 17th and 18th century Colonia. The district has several museums as well as Uruguay’s oldest church. In 1995, Barrio Historico was designated a UNESCO heritage site. The Plaza Mayor is located in the Barrio Historico and is known for its museums. One is the Museo Portuguese, which offers a look at Portuguese architecture, furnishings, and military uniforms, standards and other items. The other is the Museo Municipal, which has both Spanish and Portuguese items and furnishings and other items illustrating colonial life. 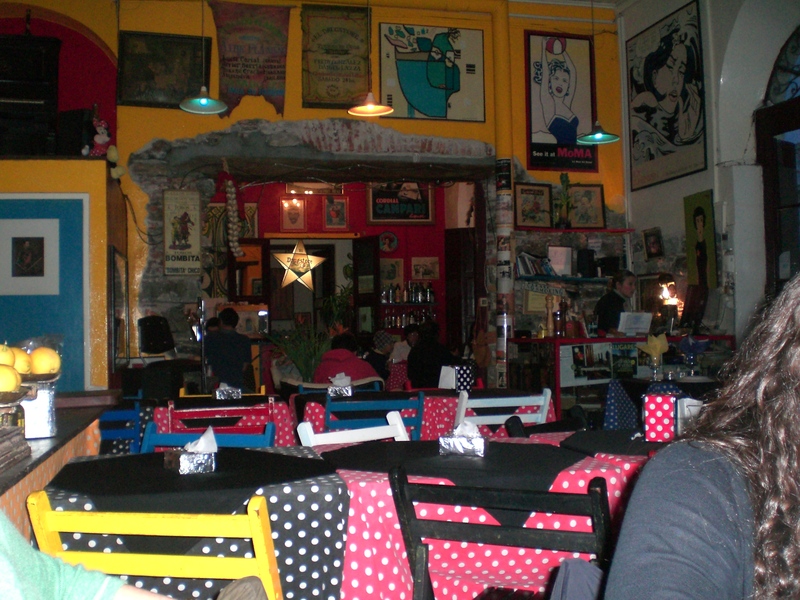 When it comes time for a meal in Colonia del Sacramento, El Drugstore is highly recommended. This restaurant features bright colors and pictures covering the walls. It offers an outdoor seating area including a table inside an old car. El Drugstore offers a large selection of food with menus available in Spanish and English. Colonia del Sacramento also offers a wide variety of local shops with items to please almost any visitor. Since this is a tourist town, the items available are mostly souvenir items. One store offered antiques as well as products made from local stones. Another store offered hand made utensils of bone and bowls made of wood. Colonia del Sacramento is a place that cannot be completely summarized. Its charm is best discovered by taking the time to explore the city and experience its small wonders.